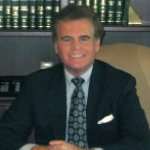 Tom Homer began his legal career in 1974 as a prosecutor. He served two terms as the Fulton County Attorney and six terms as a member of the Illinois House of Representatives. He was elected to the Illinois Appellate Court in 1996. From 2004 to 2014, Tom served as ethics advisor to the Illinois General Assembly. He has been recognized by the Illinois General Assembly for his integrity and ability (House Joint Resolution 142, 95th General Assembly) and was featured in an article in the Naperville Sun. In March, 2017, Governor Bruce Rauner appointed Tom to the Illinois Board of Examiners, an organization that protects Illinois citizens’ interest by the examination and certification of candidates who seek Certified Public Account (CPA) licensure in the state. Tom’s practice is currently concentrated in the areas of estate planning, probate, real estate, and civil mediation. As a Certified Financial Planner (CFP®), he also advises clients with respect to wealth accumulation and wealth preservation strategies. Tom established The Homer Law Firm to provide competent, ethical and affordable legal services, and strong advocacy for clients in our practice areas. Contact us for a free initial confidential consultation. He will put his knowledge as a former judge and state’s attorney with 30 years of legal experience to work for you.